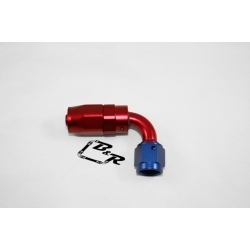 B & R Fittings 90º reusable hose ends. They can be used to transfer fluids such as gas, oil, coolant, methanol, water etc. They are compatible with our 200 series stainless steel hose and our pro flow 300 series black hose.